First, and probably most obvious, is that the person must be knowledgeable about fraternity issues. 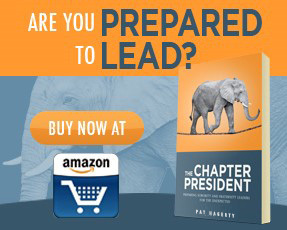 It makes no sense to have someone become chapter advisor if they do not add serious value to the organization. Second, they must command respect with the fraternity. Too often a person is chosen because they are young alumni who still want to hang out with their drinking buddies a year or two younger than them. While it is great that this person is still active with the fraternity, he won’t make the best chapter advisor because he won’t be able to offer a different viewpoint. Third, the chapter advisor must be someone who is willing to come around at least once a month. The person who is exemplary in the traits above could make a lousy chapter advisor because he just doesn’t have the time to come around. Some last thoughts – don’t be scared away from someone because they are not from your chapter. Sometimes the best fraternity chapter advisors come from other schools. Also, it is not necessary to pick the most popular brother or former president to fill the role of chapter advisor. If you can find an alum that meets those three traits, chances are you will have a great addition to help guide your fraternity.